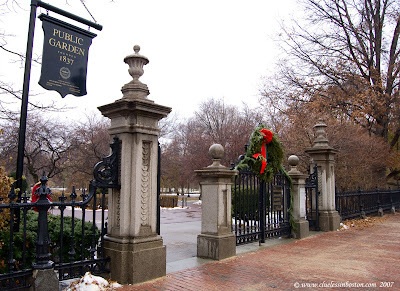 Public Garden gate dressed for the season with a Christmas wreath. the traces of this season everywhere. Lovely photo of a city area, dressed for the Holidays. I really appreciate when a city does these little touches.